I'm getting closer to my destination of Philadelphia, and today I had time for breakfast in Richmond. 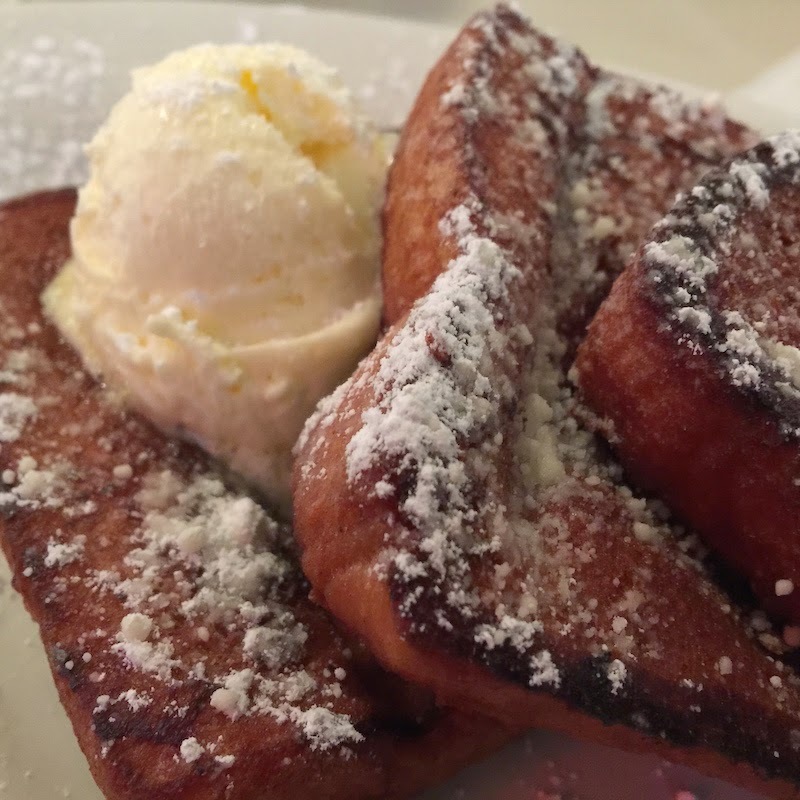 Read my review of the French Toast at Dots Back Inn in Richmond, Virginia as seen on Diners, Drive-Ins, and Dives. 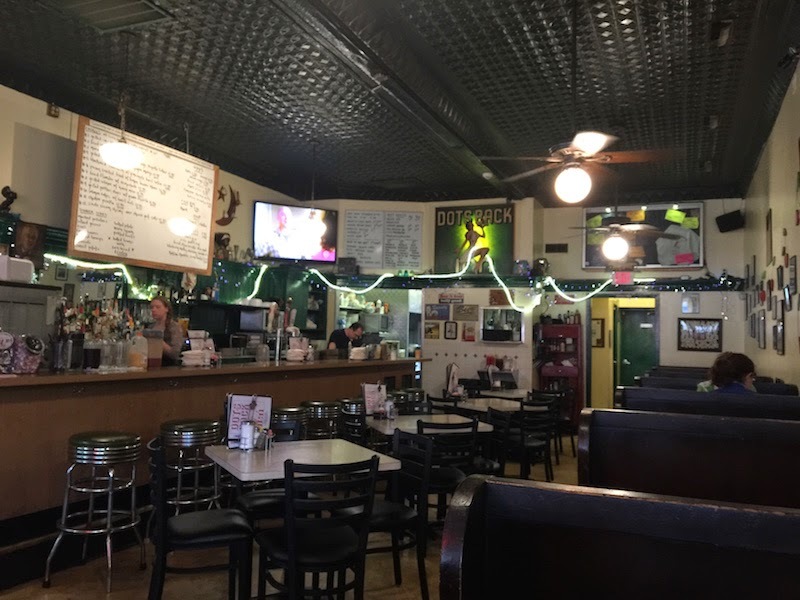 Dots Back Inn is a diner in Richmond that I found on Diners, Drive-Ins and Dives with Guy Fieri on Food Network. There's plenty of tables and booths inside, and more tables in a covered patio. The decor it 1950s diner kitsch. The breakfast menu at Dots is pretty straightforward with omelettes, pancakes, and French toast. I got the French toast and a side of sausage. 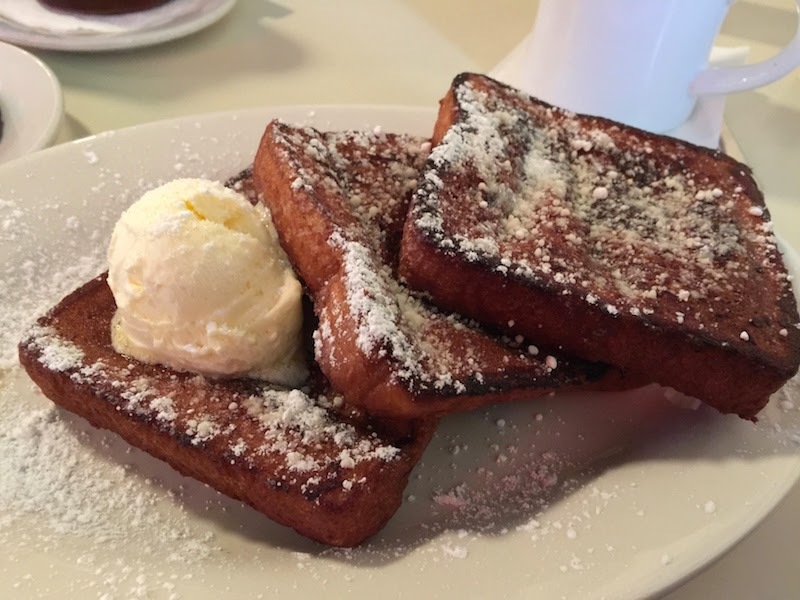 The French toast was crisp on the outside, and gooey and custardy on the inside. It was very good. The service is fast and my coffee cup stayed full. 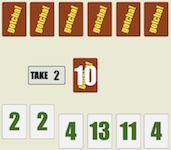 There's a pile of newspapers to peruse if you forget your smartphone. 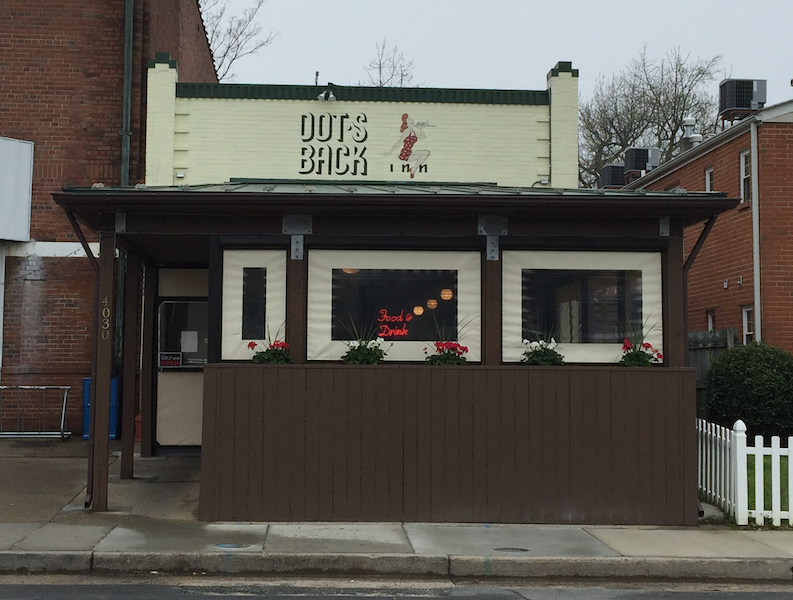 Dots Back Inn is a place I would return to for breakfast the next time I'm in Richmond.